Time - we all want more of it as we watch it elusively slip through our fingers every day. I bet much of the daily stress we experience comes from the feeling that there's "not enough time." 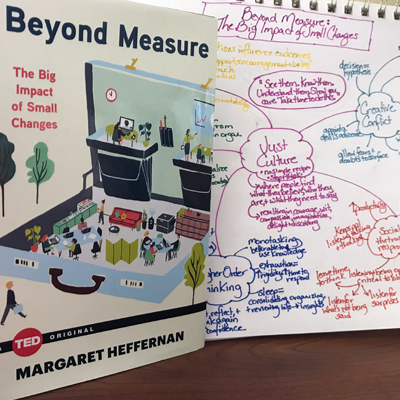 This book, however, makes a strong case for making the time and going back to basics in order to create a positive work environment or what Heffernan calls a "just culture." When it comes to your team, she petitions readers to "See them. Know them. Understand them. Show you care. Take time to do this." Ironically, I read this book in June, led a discussion for my Chamber Leadership Lit group in July, and am just sitting down to write this on the last day of August. So although I invested some time in the book, I still struggled with setting aside enough to process it deeper despite the fact that Heffernan has a whole chapter on the importance of higher order thinking. Whenever I do make time to do this kind of deep work, I always feel better after and my thinking, planning, and execution of other work is sharper. Value: With all of the pressures of our fast-paced world, it's too easy to lose sight of the value of taking time to pause and reflect. 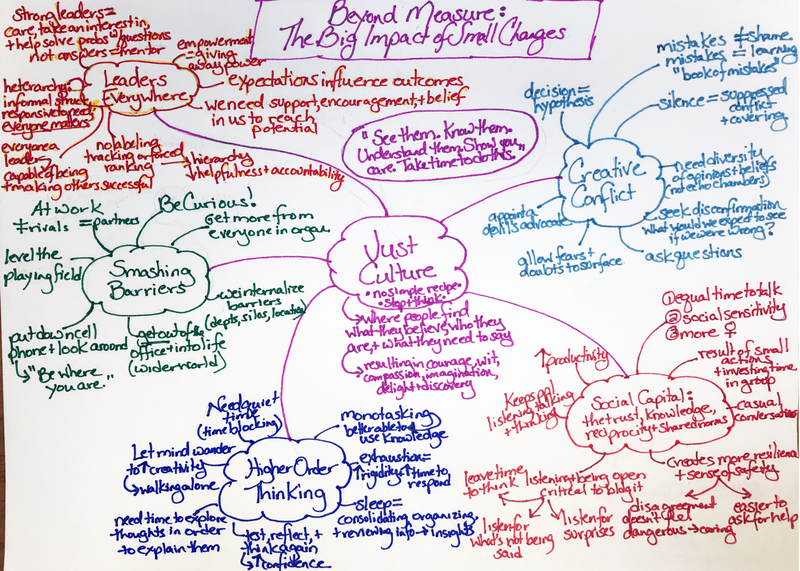 Heffernan identifies benefits of creating space for creative conflict, building social capital, and practicing higher order thinking. 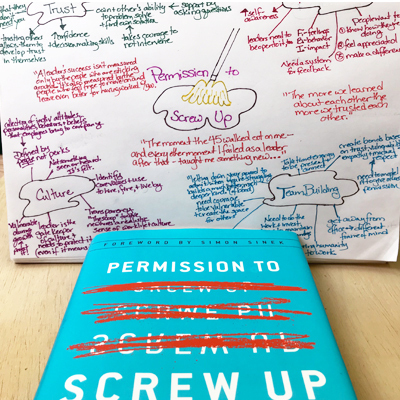 She doesn't provide one simple recipe for creating a just culture, but instead challenges readers to stop, think, test, and reflect in order to create and maintain a positive environment. She cites research indicating that this increases productivity, innovation, and employee engagement. But it takes time. The results might not immediately affect your bottom line. Can you trust that the investment will pay off? Patience doesn't seem to be something that's emphasized in most business books/classes. The participants in the Leadership Lit group mostly work in small businesses where responsiveness to clients pays the bills. We spent a good deal of time discussing where and when to establish boundaries and how to communicate them it in a way that can both generate revenue while also creating time/space to be reflective and work on the business. Personally, I have found that when I'm in a reactive mode, I tend not to make the most strategic choices. Taking a few moments to pause and ask "what does it make the most sense for me to be working on right now?" can pay off in time saved in more effective execution of tasks. Openness: Taking the time to pause and reflect can be hard because it requires vulnerability and openness to uncertainty. Heffernan recommends appointing a devil's advocate and purposefully seeking disconfirmation as ways to strengthen creative efforts. She suggests that in order to build social capital we must listen for what's not being said and other surprises. In order to smash barriers, she urges people to be curious and "get out of the office and into life" by engaging the wider world. For Heffernan, a strong leader does not solve a problem for team members, but asks questions to help them find their own solution. Each of these actions requires us to give up control over outcomes. When I discover an efficient and effective solution to a problem (at least in my mind it meets those parameters), I don't want to hear how it won't work or give space to my partner to solve the problem for himself. I see the solution and I want to take action. And who likes or wants surprises? That said, I can speak from experience that when I've stayed open to ideas from other people or the wider world around me and sat patiently in the discomfort of having my idea challenged, it resulted in growth of the idea, the relationship, and often the bottom line. Choice/Commitment: As I reflect on the writing hiatus that I took this summer, I realize that it ultimately comes down to making a choice. These blog posts don't directly generate revenue for our business so one might question if it's a "good use" of my time. I think that in the middle of a busy day when I'm not pausing to make a conscious choice, I cave in to a more reactive mindset. 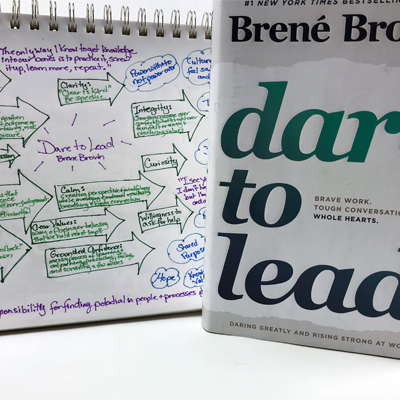 The process of reading and reflecting on these books, however, does play an essential role in program development and communicating our impact more effectively to potential clients. The reflecting and discussing are essential for going deeper with the material and more fully embodying the ideas. I need to make more of a commitment to invest in this type of work so that when in the heat of the moment, I feel more confident to let emails sit in my inbox and other to-do's wait until later. One of my other hang-ups for dedicating time for pausing to reflect whether for the blog or strategic planning has been "I'm not in the right frame of mind." I create my own obstacle. Heffernan's book has inspired me to try out a new method (which I'm using right now). In her title and opening she discourages people from investing in large multi-million dollar, multiyear programs, but instead calls for them to take "small steps that mark the beginning of a big change." 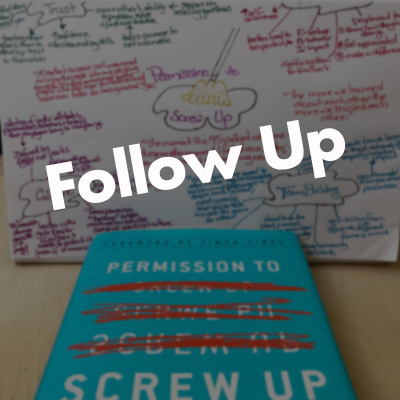 Now when I find myself starting to tell myself stories that prevent reflective work, I designate a small window of time to focus on that activity. I typically allot anywhere from 15-30 minutes. Not too much time that it feels overwhelming, but enough to dip my toes into the waters. I set the timer on my phone and don't let myself look at the phone/internet until the timer goes off (cutting off social media/email distractions). Sometimes after the timer goes off, I realize that I'm really not in the frame of mind, but at least I got things started making it easier next time. But other times like right now when things are flowing, I'm on my second or third timer cycle because I keep hitting reset. Taking that first step pushes me past the obstacle that my story created. When I go back to the emails and other tasks later, I know I'll be recharged and ready to tackle them - probably more efficiently than if I hadn't made this choice. Everyone's work requirements vary, but where can you pause to be more effective individually and for your team?